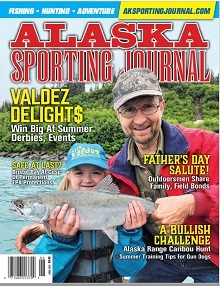 (Anchorage) – Earlier this summer, the Alaska Department of Fish and Game (ADF&G) surveyed resident and non-resident anglers about how well they understood and could access Alaska sport fishing regulations. The results of the survey were released this week after nearly 4,000 anglers participated in the online survey. According to the survey results, a majority of people find the regulations at some level, complex and confusing. The survey results also included responses about how effective ADF&G is in communicating current regulations, and how easy the regulations are to find. Respondents also provided suggested methods that could be used by ADF&G to improve access to sport fishing regulations. The report provides seven specific recommendations to ADF&G about how to help people better understand sport fishing regulations and identified preferences on how anglers want to receive information from ADF&G. Recommendations ranged from the development of a smartphone app that would provide location specific regulation information to anglers, to simplifying the regulations to make them easier to understand. You can review the DJ Case and Associates entire survey report on the ADF&G website. For further information, Lisa Holt can be reached at lisa.holt@alaska.gov or (907) 267-2330.